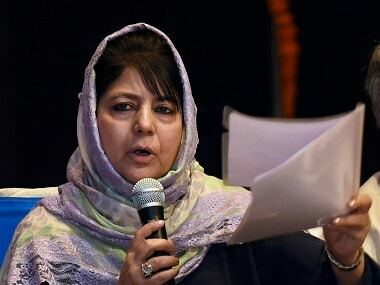 Jammu: If the turnout at the first phase of polls in Jammu and Kashmir is something to go by, the intrepid voters of the state have defied the boycott called by pro-Pakistan separatists and ultras by coming out to vote in impressive numbers, considering the climate of violence and uncertainty gripping the state. Of the six Lok Sabha constituencies in the state, Baramulla and Jammu went to polls Thursday, drawing out voters from some of the most terror-affected areas, amid reports of malfunctioning EVMs in many parts of the state. 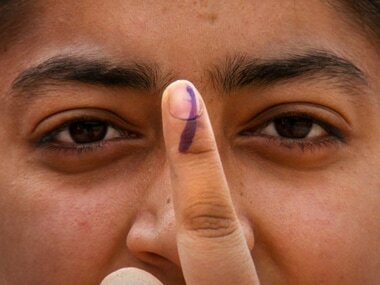 The twin constituencies together — with a combined total of 33 lakh voters — recorded 57.35 percent voter turnout in the first phase, according to Jammu and Kashmir’s chief electoral officer Shailendra Kumar. A total of 4,489 polling stations were set up in twin constituencies. Thirty-three candidates were in the fray in both the constituencies. In the Jammu parliamentary constituency, spread over 20 Assembly segments in four districts, 24 candidates were in the fray while in Baramulla, spread across 15 Assembly segments in three districts, nine candidates contested the poll. Baramulla constituency registered 34.71 percent polling, five percentage points down from last General Elections. One of its three districts and a terror hotbed, Kupwara registered 51.7 percent votes. Among the celebrity voters was Shah Faesal, a former IAS officer and J&K People’s Movement founder. The newly-minted politician cast his vote in Lolab. Baramulla’s Uri district witnessed a substantial 57 percent turnout, a categorical rejection of calls for the election boycott. 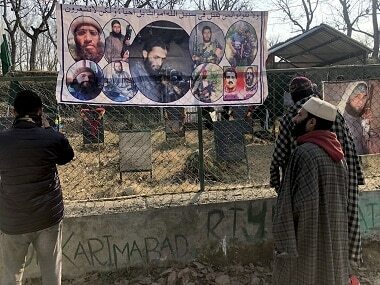 Uri is, of course, the site of the terror attack on an army camp on September 2016 that had prompted the Indian Army to launch surgical strikes against Pakistan. Isolated incidents of unrest were reported in the state. A teenage boy died when a group of persons resorted to stone pelting on the security forces returning from Kupwara’s Langate area. Security forces fired on the unruly mob, killing the 13-year-old boy. Youngsters also came out in large numbers in Dangerpora of Bandipora, claiming that they were fed up of the Governor’s Rule in Jammu and Kashmir. Internet services were suspended in Baramulla where a woman in Pattan was injured when supporters of separatists pelted stones on voters for disobeying the call for poll boycott. Jammu recorded 72.16 percent, better than the 67.99 percent it had witnessed in 2014. Rajouri and Poonch districts in Jammu constituency, which have bared continuous shelling and ceasefire violations by Pakistan, polled 65.7 percent and 70.4 percent votes. Ceasefire violations by Pakistan have remained one of the burning issues in the entire Jammu region. Many lives have been lost during the past some years in shelling from across the border. Ramesh Chaudhary, sarpanch of Kalal village in Rajouri district says that the people of the area voted to bring such a government at the Centre "that can stop these ceasefire violations by giving a befitting reply to Pakistan". Multiple reports of malfunctioning EVMs in Rajouri and Poonch were also received due to which polling was delayed at some of the polling stations. When a button on an EVM failed to work at a polling station in Shahpur of Poonch, former chief minister Omar Abdullah was quick to post the video of the presiding officer of the polling station on his Twitter account, claiming “Congress symbol button not working in Poonch polling stations”. This could not be verified. Bashir Ahmed, a presiding officer at a polling booth in Shahpur, said, “Experts visited the polling station and rectified the fault. At the time the machine was issued to us, it was working perfectly.” He couldn’t confirm if it was indeed the Congress button that was not working. Raman Bhalla, Congress candidate from Jammu said that there was a large-scale malfunctioning of EVM machines in Rajouri and Poonch area where the core vote bank of the Congress was present. “People started protesting soon after polling started when they found that the Congress button on EVMs is not working at many places,” said Bhalla. Reports of EVM malfunction were also received from Manjakot and Thanamandi areas of Rajouri district. Former minister and Congress MLA from Rajouri, Shabir Ahmed Khan alleged that the machines in Muslim dominated areas were deliberately made non-functional so that the “secular” forces could not vote against the BJP. Reports of these EVM failures aside, the Election Commission was able to, for the first time, allow troops deployed in the remote and inhospitable terrains of state to download their ballot paper online, vote and forward the ballot to their respective electoral returning officers through the post. The facility was provided at Siachen glacier and the LOC. BJP state president Ravinder Raina was issued a notice by the Election Commission after he was filmed asking an elderly voter in Gandhi Nagar about her preference, in violation of polling rules. 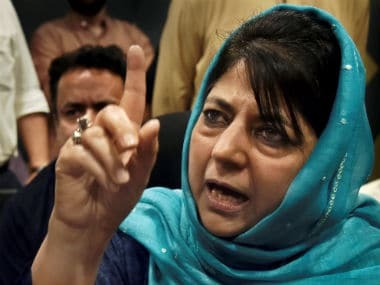 Former chief minister and president of PDP Mehbooba Mufti on her Twitter alleged, “a voter in Jammu was manhandled by BSF personnel because he refused to cast his vote for BJP”. However, her claims rested on a video in which some people were seen protesting and raising slogans against the BJP, a former ally of PDP. Major candidates in the fray in Jammu include Jugal Kishore of BJP, Raman Bhalla of Congress, Bhim Singh of National Panthers Party and Lal Singh of Dogra Swabhiman Sangathan. 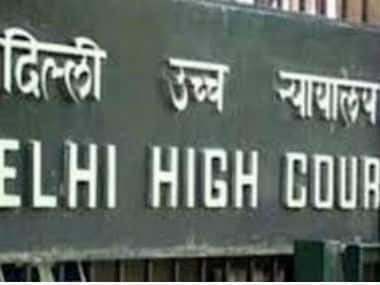 Jugal Kishore of BJP was the winner in 2014 and had bagged 6,19,995 votes against his rival Madan Lal Sharma of Congress who was able to get 3,62,715 votes. Lal Singh had won last Assembly polls on BJP ticket but later turned rebel. He is now contesting from Jammu as well as Udhampur constituency that will go to the polls on 18 April. Raman Bhalla is also a former MLA of Congress and a popular leader of Jammu. In the Baramulla parliamentary constituency, major candidates include Haji Farooq Ahamed Mir of Congress, Mohammad Maqbool War of BJP, Abdul Qayoom Wani of PDP, Mohammad Akbar Lone of NC, Raja Aijaz Ali of J&KPC. Engineer Rashid is one of the independents contesting the poll. While Lone is a former speaker of Jammu and Kashmir Legislative Assembly, Rashid is a leader known for his secessionist stand. The author is Ludhiana-based freelance writer and a member of 101Reporters.com.